The best way to get a feel for prairie history? Walk a day in the shoes of a pioneer. 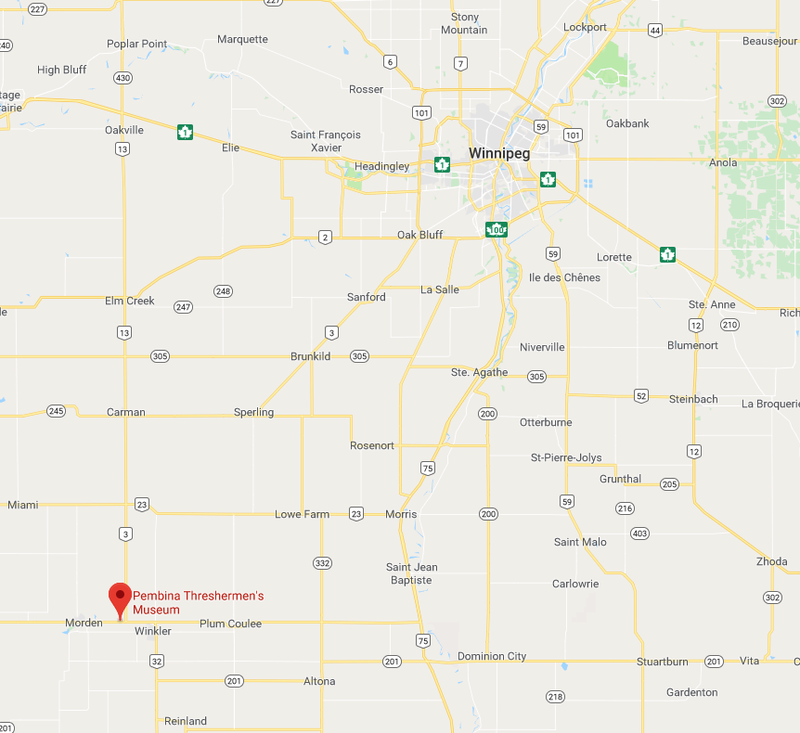 The Pembina Threshermen&apos;s Museum is dedicated to preserving the local heritage and history of Winkler, Morden and surrounding areas - and it&apos;s totally immersive. Imagine getting a fresh &apos;do in a Barber Shop as quaint as this? The replica of Mr. Pelser&apos;s shop will take you back in time to the 1930&apos;s in Winkler, Manitoba, where, during the depression, haircuts were given for as low as 25 cents. The Barber Shop is filled with the tools used at the times, while the walls are covered with calendars of the past (try to find the oldest - we did). Stop into the Roseisle United Church to see a typical prairie church, built in 1891. While the tiny chapel no longer offers weddings, the organ is still played from time to time in museum events. The Reimer House was among the first buildings donated to the museum. Built in 1878, the home is typical of the Mennonite abodes of the time, although it would have certainly had an attached barn. The home indicated an affluent family, given its layout and its many rooms. Even if you didn&apos;t go to school in the early 1900s, it&apos;s impossible not to feel some measure of nostalgia when entering the Pomeroy School of Roland, Manitoba. Built in 1909, it&apos;s one of the oldest one-room schools in Manitoba (yes, one room) and closed its doors in 1954. Unlike many other museums, the Pembina Threshermen&apos;s Museum uses only minimal ropes and barricades in its exhibits. This is especially evident in the General Store, where you can actually walk behind the till. The old-fashioned variety store is an example of the multi-purpose shops of days gone by. Now, it&apos;s where you can buy ice cream treats during event days at the museum! 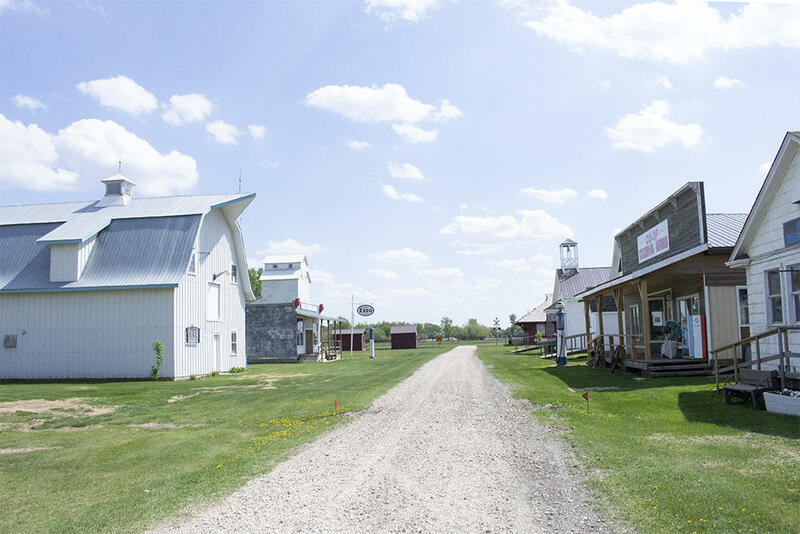 Brimberly Village is the newest addition to the Pembina Threshermen&apos;s Museum. The passion project began when summer student Breanna Giesbrecht decided that she wanted to organize Building #1. Kimberly Striemer took the project on full force and built it from the ground up with her own two hands. Today, the space is a vintage street replica - complete with a theatre, livery, bridal shop and art gallery! How cool is that?